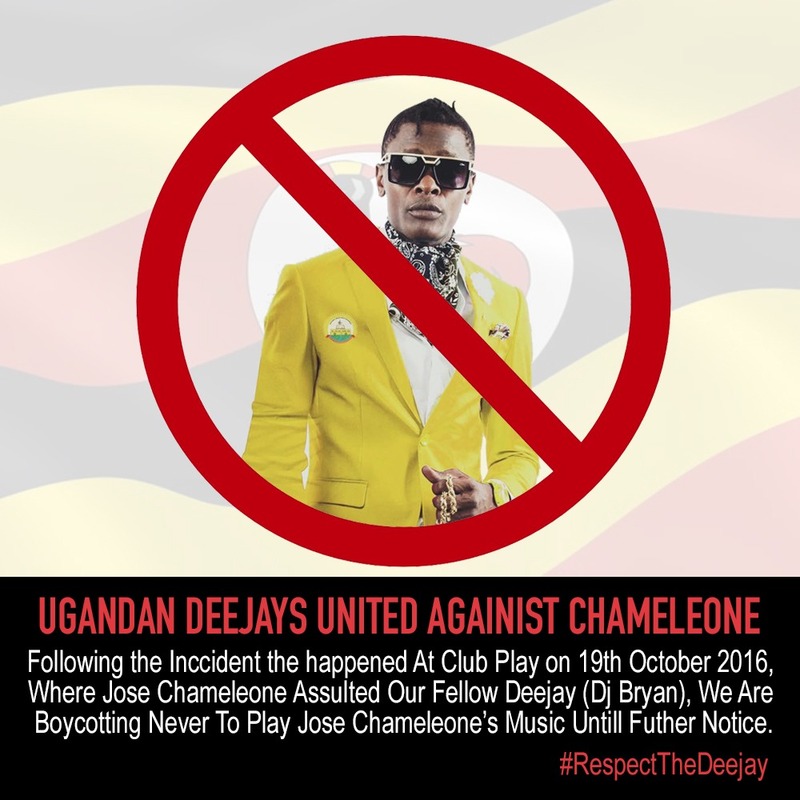 On the 19th of last month, celebrated musical Dr.Jose Chameleone was involved in a fatal fight with club Guvnor's deejay Bryan who was hanging out at industrial area based club play. It's rumored the fight was as a result of an earlier exchange. Mutima who happens to be Chameleone's manager at one night asked Dj Brian to play their music while at Guvnor but mbu his response wasn't pleasant. "Tell chameleone we play his songs before 11pm, let him always come around that time" a close pal revealed to us that was Dj Brian's response after the humble request by mutima. On Wednesday night 19th, bumped into the deejay and had to revenge.So latest is that deejays have united not to play his music anymore until further notice.